Get fresh, pressed clothes in minutes. We get it – ironing can be a chore. The kind of task that’s too daunting when you’re trying to get out the door. But our garment team tested the alternatives, and we know that a quick spin in the dryer isn’t going to get your work clothes crisp and smooth, and that cocktail dress you just ordered online ships with major wrinkles. 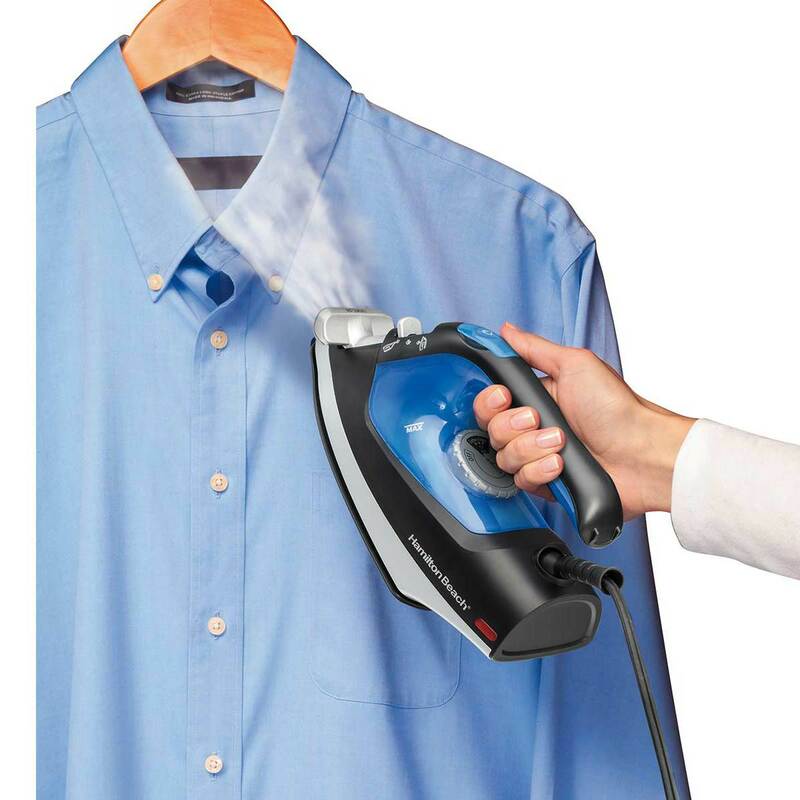 So our designers got to work on making an iron that works fast and easy. The result is the 2-in-1 Nonstick Iron & Garment Steamer. 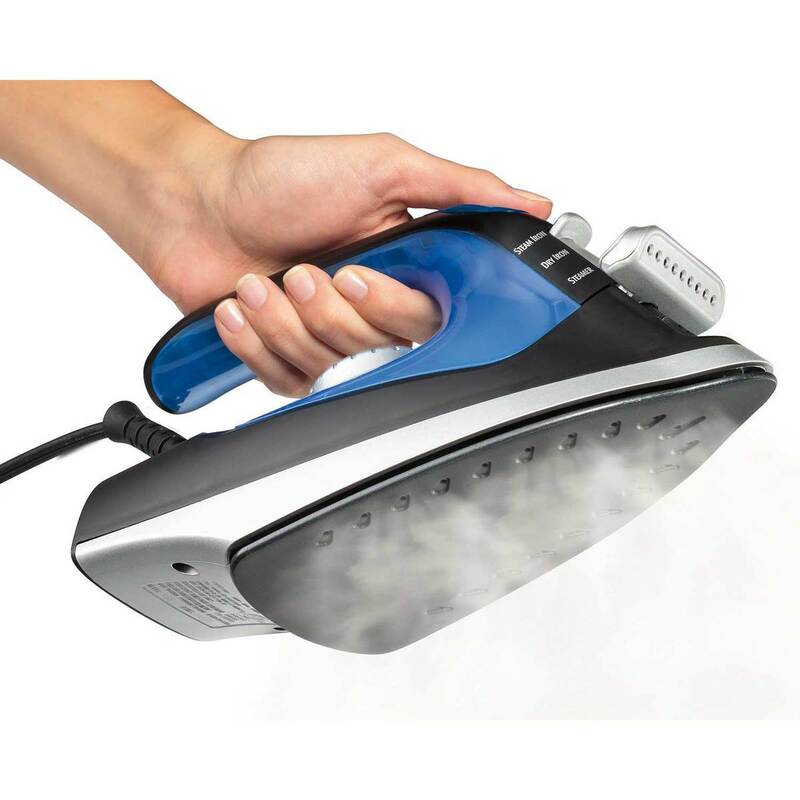 This unique iron doubles as a handheld garment steamer, so you can remove wrinkles the way you want. Switching between settings is simple with the easy-slide lever. 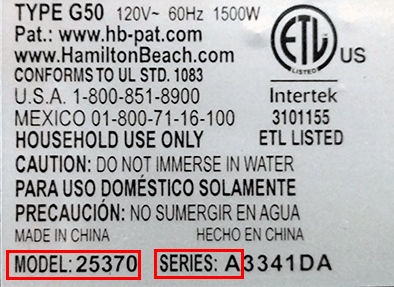 It’s lightweight and heats up in just minutes, so it won’t leave you pressed for time in the mornings. Get two products in one. 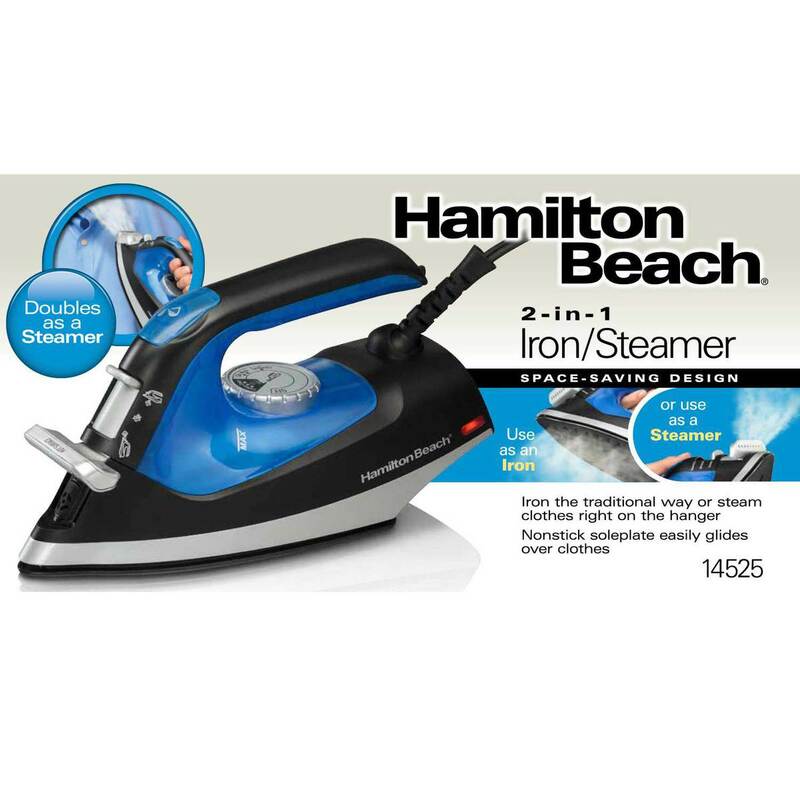 Iron out sharp creases with the smooth glide of the nonstick soleplate or simply slide the lever to the garment steamer to remove wrinkles from clothing, curtains and more. 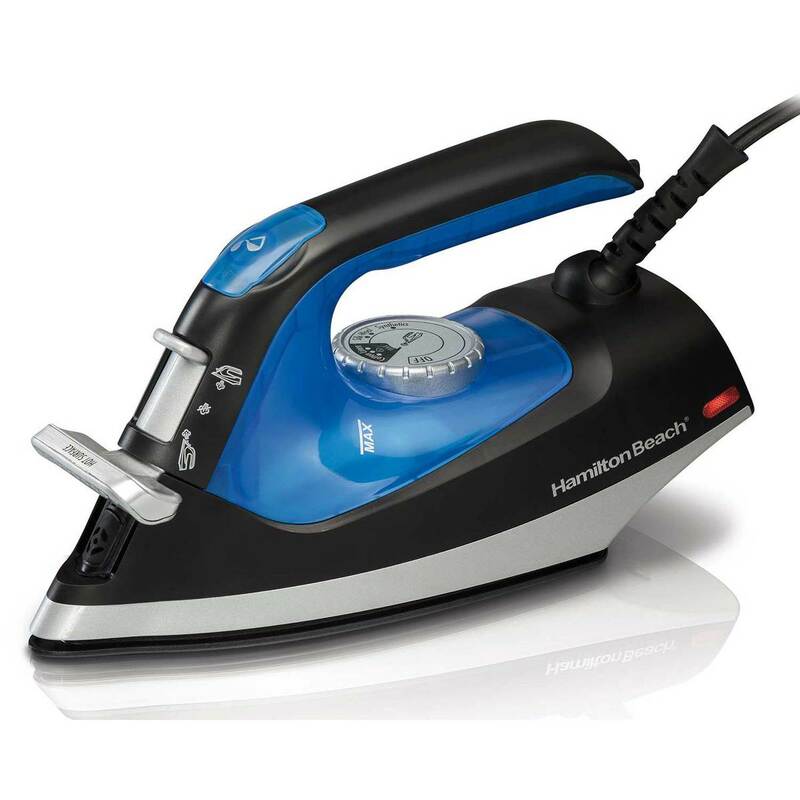 Stubborn wrinkles don’t stand a chance with the powerful, continuous steam in this iron. Choose your steam level when pressing fabrics with the iron. Or refresh and smooth clothes right on the hanger in minutes when using the garment steamer setting. Smaller than a full-size iron, the 2-in-1 Nonstick Iron & Garment Steamer was made to fit into small storage spaces. Plus, it’s lightweight, making it easy to handle when in use.